Premium Spanish and Italian football is to debut on the STV Player this weekend, following the announcement of a new partnership. Between 23 and 25th November 2018, the STV Player will host 14 matches from Eleven Sports, available live and for free to viewers in Scotland. Coverage this weekend includes Juventus v SPAL from 4:50pm on Saturday, followed by Atletico Madrid v Barcelona from 7:40pm. 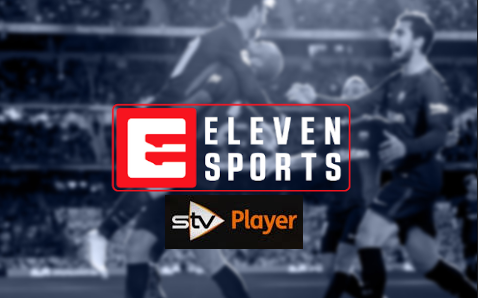 It follows an announcement at the beginning of the week between Glasgow-based STV and Eleven Sports, which saw STV become the exclusive digital sales agent for Eleven Sports. “Our free-to-air partnership with STV fits perfectly into Eleven’s ‘For the Fans’ strategy which aims to make leading football action more accessible for fans at an affordable price. STV has fantastic reach across Scotland and this collaboration is another way to drive awareness of our premium football offer to new and diverse audiences. STV is the holder of the Channel 3 licences for Central and Northern Scotland, where it showcases content from ITV alongside home grown programming. STV Player is STV's on-demand service for Scotland. As part of an agreement with ITV, access to content on the STV Player is dependant on postcode. STV Player provides live streams of STV and on-demand content from the ITV Network north of the border.